One of the longest continually operating and largest Roofing Contractors in Austin, TX. Our roofers have built a client-base of tens of thousands of satisfied commercial and residential customers in Greater Austin. We are fully insured, with the experience to handle any commercial or residential roof repair, replacement, or new construction roof project in the Austin Area. 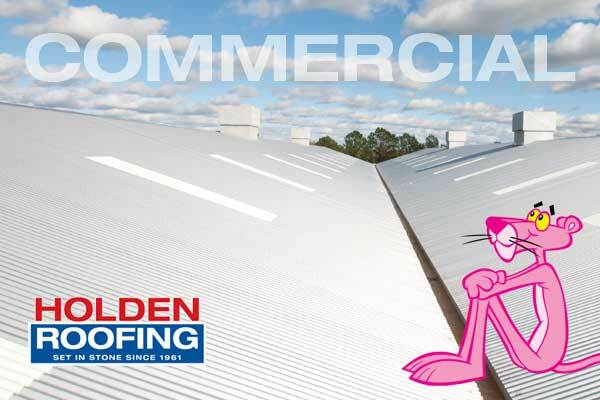 Give us a call at the Holden Roofing Austin location to get your roofing project on its way. Thank you, for working with me on my roof. I am so grateful to you and Holden Roofing. That you have a high standard towards our military. As a retired USAF Sergeant, I want to thank you again for your patriotism for our country. I’m thankful that you offer a discount for those all that served in the military. Holden Roofing, I’ve shared your good name to others. I hope to send more business your way. 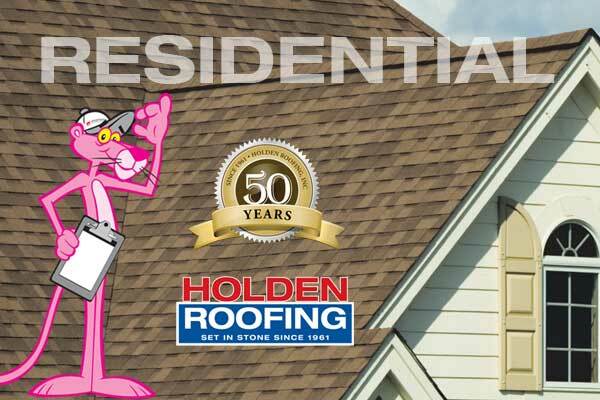 Holden Roofing has helped us for several roofing repairs for our rental properties over the years. They are always professional, courteous and do an excellent job. We will always call on them for our roofing needs. We want to thank Stan Medlar and the Holding Roofing crew for their quick response to a short notice on our roof replacement. The professionalism was beyond what we expected. Stan understood that even though it was a quick job, he took the time to explain and oversee the process from start to finish. Stan’s knowledge made the process of getting our new roof much easier. We would highly recommend Holden Roofing and Stan Medlar for any roofing job. The best work I have seen. Tony was amazing and worked super fast to get the job done. I have nothing but praise for the work that these guys did and the most professional staff I have ever worked with. Tony really cares about what he is doing and getting the work done right. Thank you so much for all you did for us you are amazing!!!!!! Thanks Holden for the professional and courteous experience I had when it came to replacing my storm damaged roof. Tony, my sales representative was truly a professional in convincing me that Holden Roofing should be my choice. NO pressure in the sales presentation, felt comfortable with Tony through the whole process. Tony was present and on the roof the day the insurance adjuster was over to insure all my damaged needs were pointed out. Upon completion of the job, Tony came back to my house, walked around and showed me the finished product making sure that I was satisfied prior to the workers leaving. That really showed me that he cared and I can’t tell you how much I appreciated that. I also want to thank Veronica Garcia (Holden Austin Office) who was patient and assisted me me with questions about the insurance process. Both Tony & Veronica were so very helpful. 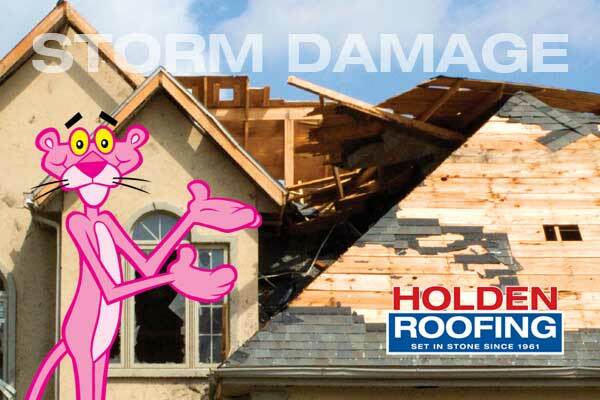 If needed again, there is no doubt I will contact Holden Roofing. Thank You for an Excellent Job! Jack West was so professional, polite, and knowledgeable. The roofers were so timely, efficient, and left our property spotless/nail-less. The scheduler was great as well. could not even tell they had been there. We recently contacted Holden Roofing regarding damage to the roof on one of our rental properties. We had used them before with excellent service and value for replacing the roof on our primary residence. The sales person assigned to us previously had retired and we were soon contacted by Stan Medlar as their representative. Stan quickly advised us in the steps necessary to file a claim with our property insurance company. He facilitated every step along the way and was very proactive in helping the process along so that it didn’t take longer than necessary. In a matter of weeks we had a check from the insurance company and an appointment for our roof to be replaced. Along with that, we had interior damage with which he also helped us on the claim and the repair service. We really can’t speak highly enough of Stan’s character and exemplary service throughout the whole process. We are very grateful. We would certainly recommend Holden Roofing to anyone needing a new roof, or roof repairs or any service that they offer. I especially would recommend Stan Medlar for raising the bar on service. We had our roof changed after Hurricane Ike, in 2009, and this year when we went to sell the house, the inspector found that some of the flashing was raised. We called Holden, and even though it had been 4 years and it wasn’t covered, they came out and fixed it, caulking thoroughly after nailing. I was impressed and pleased with the great service and would definitely use this company again. My name is Troy Allison, I own two (2) companies; Sundance Shale Leasing and I’m a partner in Adapt Energy and we, as your company obviously does, preach to our employees that “CUSTOMER SERVICE”, from the time our customers make initial contact with us, all the way through our follow-up with them that their “customer experience” with us, will be nothing short of exceptional. We strive to ensure and teach our employees that without superior customer service, we are potentially mediocre and mediocre is not in our vocabulary. I recently called Holden Roofing to repair a “minor” roofing problem I had. And I say minor, because the sum total of my roofing repair was only $295.00, your minimum charge. And, that was the sum total of the money your company earned to repair my roof. Stan Medlar came to my house, gave me an estimate and told me he would be back with a crew to do the repairs and gave me a date and time your crew would return. I misunderstood his instructions and I have to admit, being in my senior years and having a memory such that I can hide my own Easter eggs, I wasn’t home when they arrived. The repairs were in my back yard. They set up their ladders in my front yard, climbed over the roof to the rear of the house and repaired my roof. When I returned, there was a message from Stan that they had been there and I wasn’t home. I called Stan to apologize and reset the appointment. Stan advised me to go to the back of the house and view the repair, I was truly “blown-away” that I had forced your crew to set-up in the front of my house, not in the back, where the repairs were required and that I had inconvenienced them and that because of my absence, had put your crew in jeopardy. The repair was nothing short of perfect. Matching the tiles perfectly and having to climb from the front of the house to the rear, all for $295.00 was beyond belief…. Bravo Stan Medlar and the Holden Roofing Crew……You folks are truly professionals. If I EVER have roofing repairs in the future, I will know who to call. Your name will be forwarded to “ANGIE’S LIST” with my recommendations. Our family would like to extend our most sincere thanks and gratitude for your sacrifice of time and material on our father Elbert Wood’s project. Please extend our thanks as well to your employees and their families because this was truly an example of the entire community stepping up to answer the call of a veteran in need. We were amazed at the crew that showed up and how much work was accomplished in such a short time. What a blessing that we know the longterm leak was finally resolved. One of our favorite pictures of the entire project was the one of your crew on the roof! This has been a blessing for our father and our entire family as well. As you know, my dad’s home was in desperate need of repair, and we could not afford to make the repairs and upgrades in order for his home to be senior friendly to respect his wish of remaining in his home forever. As a result of your selfless efforts, our father’s home is better than new and he looks forward to years of enjoyment in his new home. Holden Roofing is an asset to the Houston community, and we sincerely hope that you will be rewarded by our community for all you have done. I am in Sun City, Georgetown. The coordinator and manager for my roof replacement was Chad. I have nothing but compliments and good things to say about him and the crew that did the replacement. Chad’s professionalism, personal contacts with myself or my wife, and accomplishments of responsibilities were/are beyond reproach. He handled his responsibilities perfect. I want to thank you for the exceptional job you did on replacing the roof on my house. You truly went “above the call of duty”. As it happened, I was out of town on a business trip when my roof was replaced. You made sure my dogs were put in the kennel and let out at night. I know that’s not part of your job duties but you did it anyway. When I returned home the yard was completely clean and the new roof looked great. You inspected everything and had the crew return to take care of a minor issue on the shed that was due to perhaps some defective shingles. You explained everything in detail and made sure I got exactly was I was expecting and what I had paid for. Thank you (and my dogs thank you too!). Thank you for all the hard work done on my roof. It looks great and I love the darker color. It was so hot and the crew worked very hard. The clean-up they did was really amazing. I have already referred you to others in need. Many thanks. Mr. Travis Joyce, I want to take just a moment and let you know how much I appreciate what Holden Roofing did for me in the aftermath of the storm. I don’t know many, if any companies that would have taken on jobs pro-bono. Our sales representative was very good to work with during the whole ordeal and went the extra mile for me. Thanks again to Holden Roofing. To Whom It May Concern,My roofing job was completed this morning and I have two words to summarize my experience – extremely impressed. Your roofers showed up promptly yesterday morning to start the job. I was amazed at the work efficiency and thoroughness of the crew. Thanks again for a great job!!! What a professional job! The whole roofing experience with Holden and Justin was a pleasure. We will be happy to recommend your company. Here is the check for the balance on the new roof. The roof looks great. Your roofers did a great job. The cleanup was outstanding and they were courteous and respectful.